Designed for installation on small commercial vehicle roofs with "ribs". 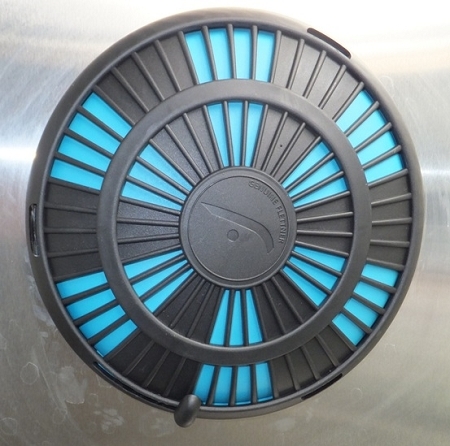 We love our Flettners (2) installed on our horse trailer roof and we want you to have one, too! THE BEST REASON TO INSTALL A FLETTNER VENTILATOR is that it is a wonderful GREEN, COMPLETELY QUIET WIND-POWERED vent that operates 24/7 to extract heat, odors, gas & moisture from your vehicle, EVEN WHEN THE VEHICLE IS COMPLETELY CLOSED UP! So, no more having to leave a roof vent open or a window open anymore (no more rain or dust in the vehicle. Just park the vehicle where it can catch some breeze, lock it up & the ventilator turns non-stop. It is completely quiet, vibration-free, waterproof, leak-proof and needs no maintenance. OUR EXPERIENCE: Now, when we open the back of our horse trailer after it has been parked awhile, it smells fresh! 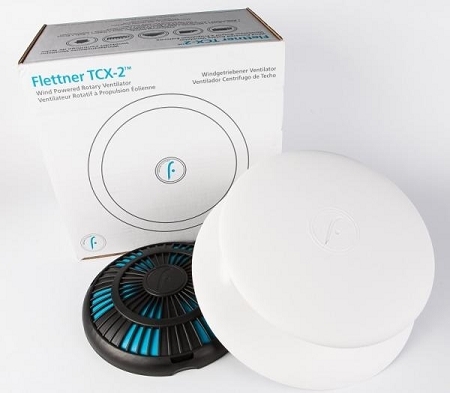 This spring, we installed a second Flettner TCX-2 in our trailer tack room. It's been refreshing to get rid of all odors, and the wet saddle blankets just magically dry overnight in the closed tack area. Sprinter van owners report similar results. Tested and approved by TRAIL PALS! In our initial tests, this ventilator lowered the temperature in the horse box of our enclosed horse trailer by 13 degrees--- (these are not verified scientific results). Installs in 15 minutes, after watching manufacturer's installation video on YouTube. 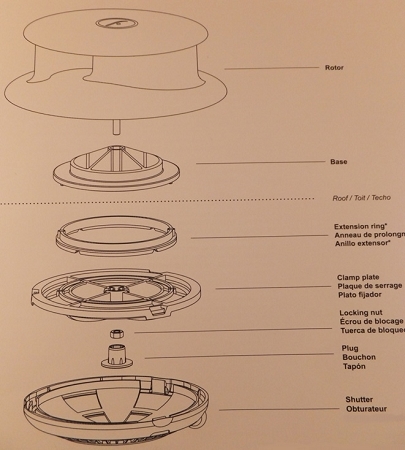 All instructions & hole template included. Ships in the original box. Lifetime manufacturer's warranty on workmanship. This vent has a narrow base, made to be installed on a vehicle with raised ridges on the roof. Color: white. 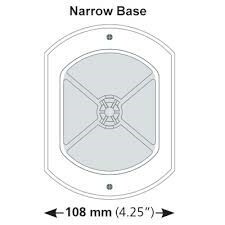 If you have a flat roof, we suggest you purchase the same product, but with a round base (sold on this page). An adapter is needed (for both products) if the roof is insulated, sold below. I finally installed my Flettner vents. What a difference in my Sprinter Van! Me and my 4 kids love them. Thanks.